Wayman Aviation offers 3 different Introductory Flight packages for those interested in pursuing a Private Pilot’s License and see how we are training our future Private and Airlines Pilots. These flights are approximately 1 hour to 3 hour long and are highly recommended for anyone interested in aviation. On these flights, you will fly in the pilot’s seat next to a FAA Certified Flight Instructor in the co-pilot’s seat. You will take-off from North Perry or Opa-Locka Executive Airport and fly east towards Miami Beach then perform a 180 degree turn to North Miami Beach. You will experience flight maneuvers and procedures we follow in the air and return to the traffic pattern for the airport. 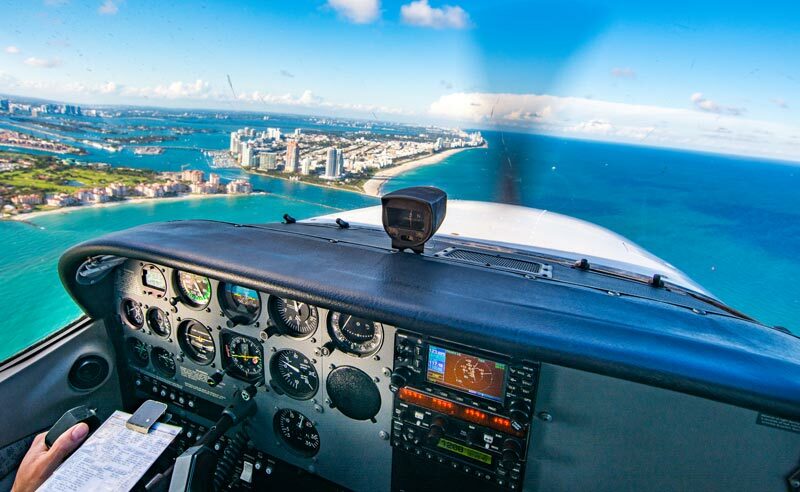 On your first flight you will learn to maintain the airplane in straight and level flight while taking in the scenic panorama of Miami that can only be enjoyed from the air. You also will have chance to experience full motion flight simulator and learn how we train pilot to fly in clouds. Top Gun package will give you on the other hand, the experience and knowledge of how we train pilots and what kind of maneuvers they do during the typical commercial flight. The goal of these flights is to see if you are comfortable in a small aircraft and if flying is something you want to pursue. Even if you choose not to, it is an exciting experience for yourself or great as a Gift. You can log your flights in to your Logbook (or in to our gift Logbook if you chose the $299 program) if you are a US Citizen, or a resident with TSA clearance. 1 Hour Simulator, 1 hour Flight and a special gift from our Pilot Shop is included. Do you Have the Right Stuff, to be a Pilot? 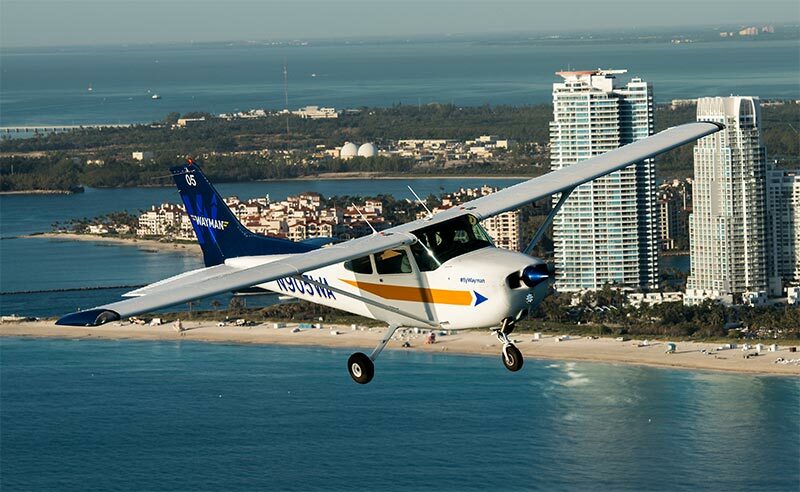 Fly to Miami Beach, over South Beach and around Key Biscayne. A special gift from our Pilot Shop is included. 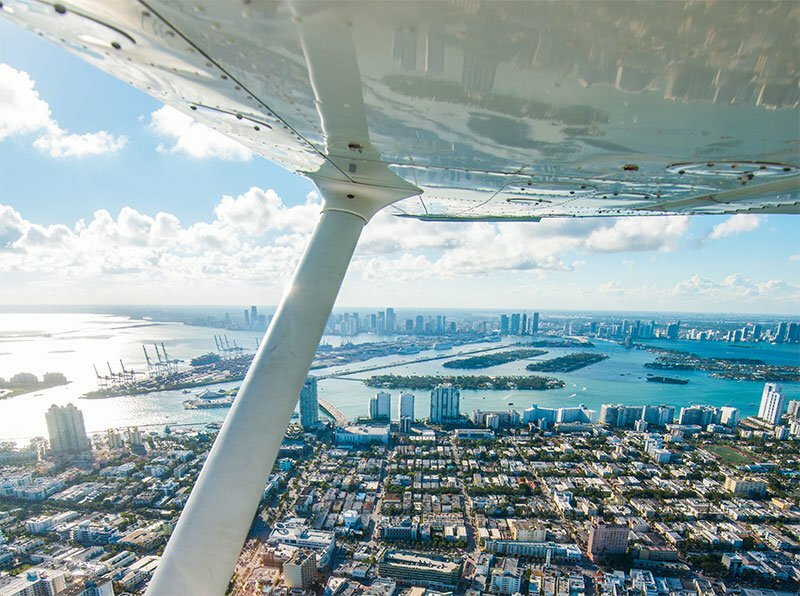 Take off from Opa Locka Airport and fly east over Sunny Isles/Aventura. Turn south along Miami Beach, over South Beach and around Key Biscayne. Maintain straight and level flight with the guidance of a Certified Flight Instructor. Kids Ages 8+, No Age Limit for Happy Healthy Individuals. The Top Gun package is for candidate ready to go a little farther. 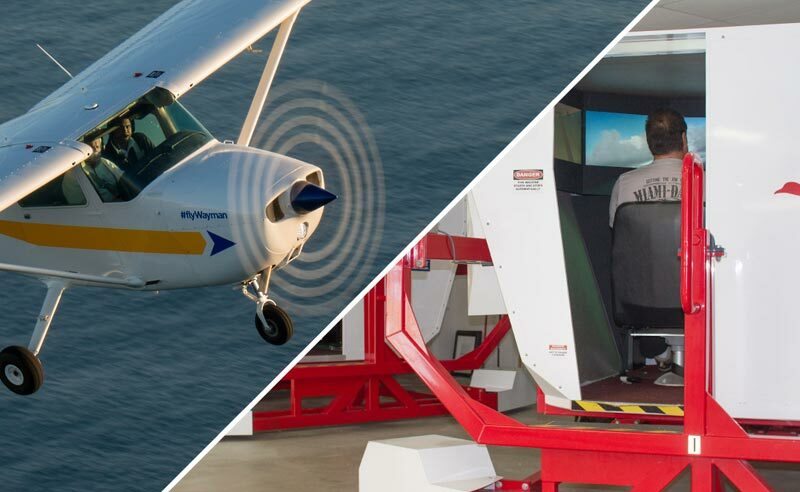 Three lessons give you a full idea of what is involved in flight training. Note: The hours flown are only loggable if your are a US Citizen, or a resident with TSA clearance. Monday through Friday 9am to 5 pm and Saturday from 9am to 4pm. #flyWayman so we can see your photos! North Perry and Opa Locka Airports are optional.